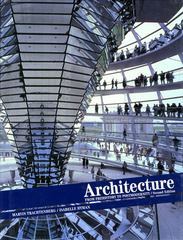 Architecture 2 Edition I. THE ANCIENT WORLD. 1. Architecture Before Greece. 2. Greece. 3. Rome. II. THE MIDDLE AGES. 4. Early Christian and Byzantine Architecture. 5. Pre-Romanesque and Romanesque Architecture. 6. Islam and West. 7. Gothic Architecture. III. THE RENAISSANCE AND THE BAROQUE. 8. The Renaissance. 9. The Baroque. IV. THE MODERN WORLD. 10. The Eighteenth Century. 11. The Nineteenth Century. 12. Modern Architecture. 13. Second Modernism (through Post-Modernism). 14. Modernisms: Renewal and Hyper-Diversity in Recent Decades.